Martin Brundle was not even close to being the only one with issues. After quite some time without a Soviet Grand Prix, the dubious GP finally made it’s return, this time on the Bikernieki Circuit. The weekend wasn’t a nice one in terms of weather, as the heavy rain in qualifying proved. Many drivers struggled to adapt to the wet conditions, incluiding both Williams-Honda drivers. The race still had rain, though not to the same extent as before, but with undoubtably the same amount of mistakes, as driver through driver made mistakes. The leader and the dominant force of that race, Jeremy-Etienne Voeckler, was one of those drivers, as a very forced spin made him stuck in a gravel trap, therefore retiring from the race. 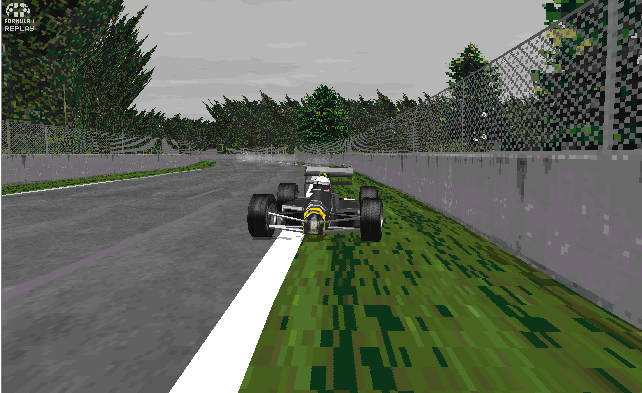 Other noteworthy mentions include Riccardo Patrese, who spun out no less than two times and went from 8th to 15th in the process and Jonathan Palmer, who went from 6th to 10th as he ran wide while entering the pits and also crashed into the wall losing his front wing, though he was able to mantain his 10th place in the latter. Ferrari then were left to dominate the entire race, as Senna lapped everyone in the field. Prost hold off a 2nd into a 1-2 for Ferrari, and the last place in the podium goes to Chris Dagnall, who had a superb race without any mistakes. Other highlights include the first points for Frederic-Maxime Voeckler, Harvey Jones punching the Lola above its weight to an amazing 12th place, as well as Philippe Streiff, who was 11th in a clean race for AGS. Fushida was extremely error-prone like the rest of the drivers, and he couldn’t manage better than 14th. Reject of The Race – Everyone outside the Top 4. All drivers were struggling like amateurs on the wet surface. 2015 Grand Prix Rejects. All Rights Reserved.